Nuts – It includes selenium, zinc, magnesium, phosphorous, iron, copper, and calcium. Not only does it keep the cholesterol level low, but also beneficial for the heart. Brazil nuts, cashews, and almonds contain a high amount of minerals. A handful of nuts a day is more than enough as they are high in calories. Lentils and Beans – Kidney beans, chickpeas, soybeans, and white beans are some of the examples of lentils and beans that are rich in minerals. They are a good source of protein and contains zinc, magnesium, phosphorous, potassium, iron, and copper. Greens – The best examples of useful leafy greens include turnip greens, kale, spinach, and swiss chard. They are rich in calcium, zinc, magnesium, potassium, iron, and copper. Fish – To get the omega 3 fatty acid for a healthy heart, it is important to consume fish. Not only is it a great source of protein, but also contains selenium, magnesium, phosphorous, potassium, and calcium. Mackerel, tuna, and salmon are the best source of minerals. Mushrooms – It is another source of zinc, selenium, potassium, and copper. Mushroom is a low-calorie food and can be added to any dish. Whole Grain – They are a great source of carbohydrates and high in fiber. Whole wheat bread, wheat germ, buckwheat, and oatmeal are some of the examples of whole grain that you can consume on a day to day basis. They contain minerals, such as zinc, selenium, phosphorous, and iron. Dairy Products – Dairy products also provide the necessary minerals that are important for your body. You can buy a low-fat yogurt or milk to consume fewer calories. Magnesium, phosphorous, potassium and calcium are some of the key minerals you can get from dairy products. However, despite the availability of these foods, people are unable to manage a balanced diet to their hectic and fully packed daily routines. The lack of mineral intake and improper eating habits takes a toll on your body. It deteriorates the physical health and also negatively impacts your mental health. Therefore, you should take a balanced diet to absorb the necessary nutrients needed for a healthy body. 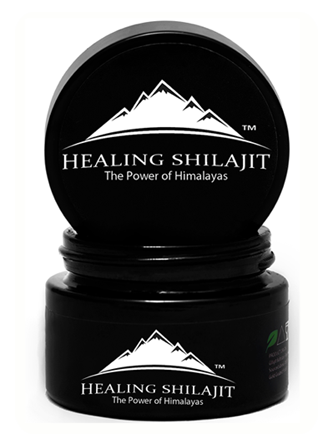 You can still cover the mineral deficiency by taking a natural supplement called shilajit. It is a blackish brown resin that is extracted from beneath the layers of rocks in the mountain ranges of Afghanistan, Hindukush, Australia, and the Himalayas. It is also found in Tibet and Russia. Altitudes, humidity level, temperature profile, the geological formation of rocks, and species of plants in the area are some of the factors that determine the properties of Shilajit. 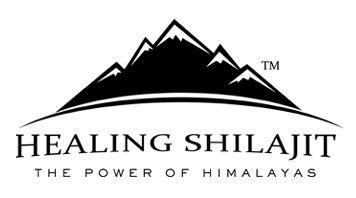 The most effective and powerful ingredients in shilajit are humic acid, fulvic acid, and dibenzo-alpha-pyrones that gives a boost of energy and regulate the overall body functions. A regular use of this supplement is useful in treating digestive disorders, nervous disorders, anemia, kidney stones, and allow for a healthy and stress-free lifestyle.